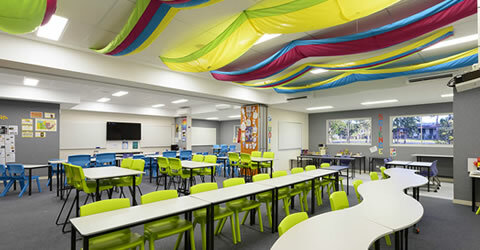 SJ Higgins Group was engaged to deliver the 3 Stage redevelopment project for Grace Lutheran College. 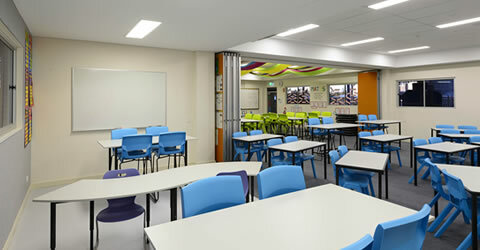 Fit out for functional use as two classrooms separated by an operable wall. 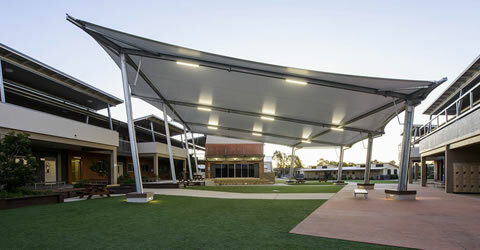 Design and documentation of new shade structure. 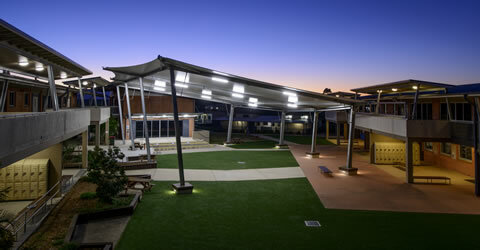 Making good existing synthetic turf areas. 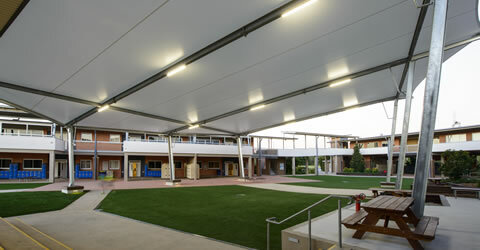 Construction of steel structure with roof sheeting installed on ground. Erection of new structure using four mobile cranes to place in position. 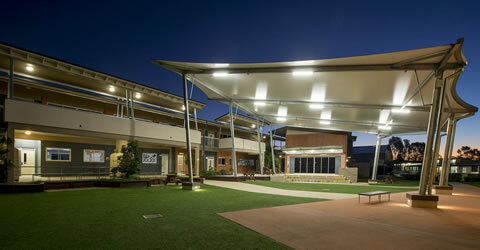 Installation of polycarbonite wall cladding and roof plumbing. Fire Service Upgrade Installation and connection of fire booster pump.